Making the choice to homeschool can be scary, especially given the amount of information and programs out there. There’s so much to weed through, but one of the biggest decision is what type of homeschool program to use. From traditional textbooks to online homeschool programs, how do you know which type of homeschool program is right for you? To start you must ask the right questions. Why? 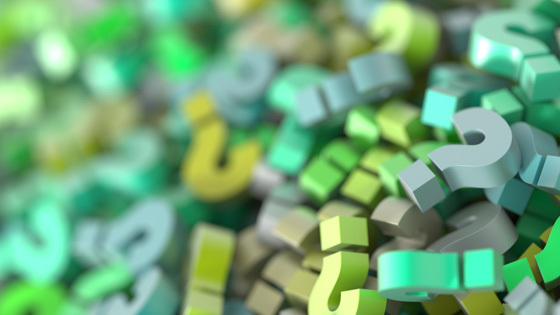 Because the answers will help you identify the homeschooling program that fits your unique child and sets you up for homeschool success. What Type of Homeschool Program Should You Choose? We want to help you make the right decision, to find the right fit for your unique child. Because that makes all the difference. 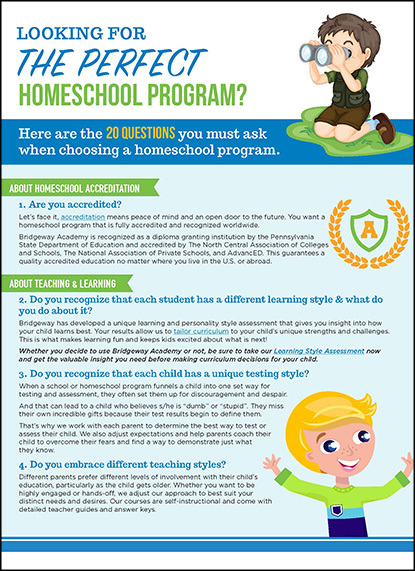 Step 2: Download our FREE resource 20 Questions to Ask When Choosing a Homeschool Program. by filling out the form above. Step 4: Contact us at 800-863-1474! We’re here to help you make the best decision for your family.